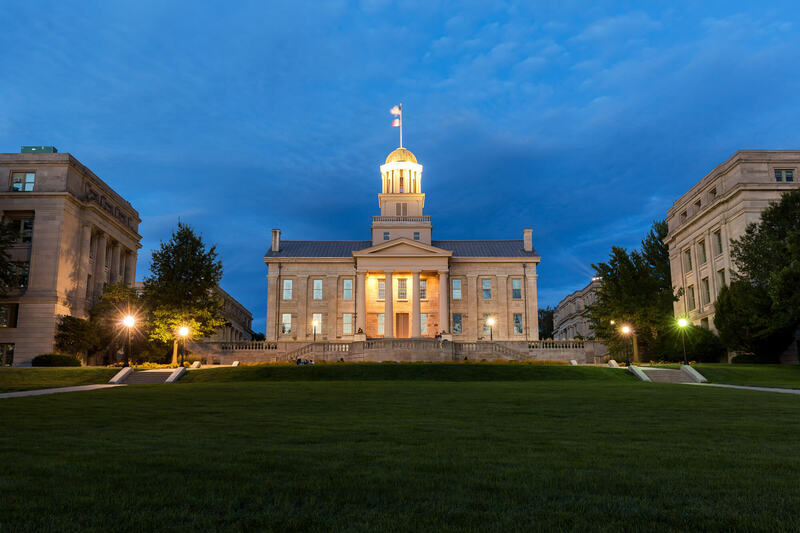 Iowa City, Iowa – The old state capitol building, now part of the University of Iowa. 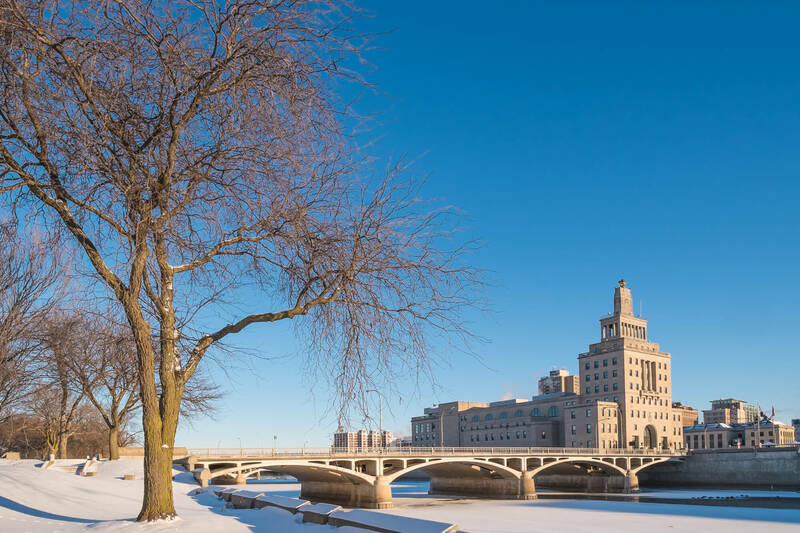 In addition to the university, the city is also a UNESCO-designated City of Literature. Cedar rapids city hall, Iowa, USA. 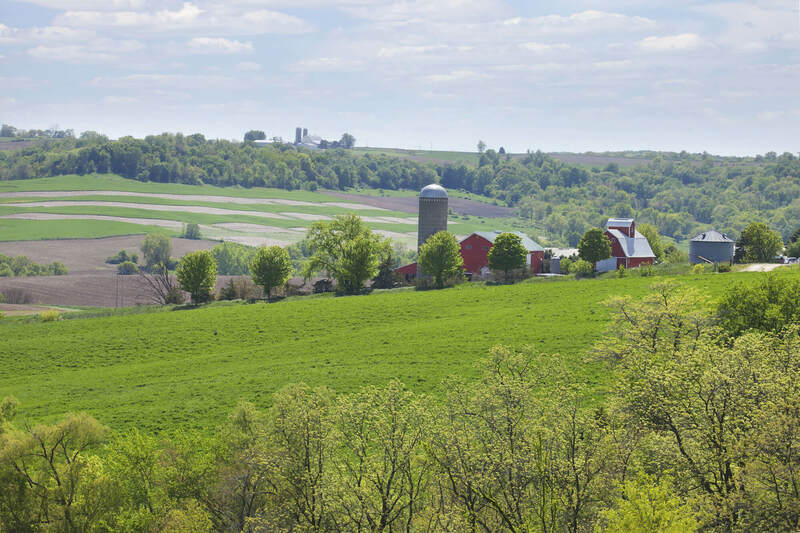 Farms on a hillside in the Iowa countryside during spring. 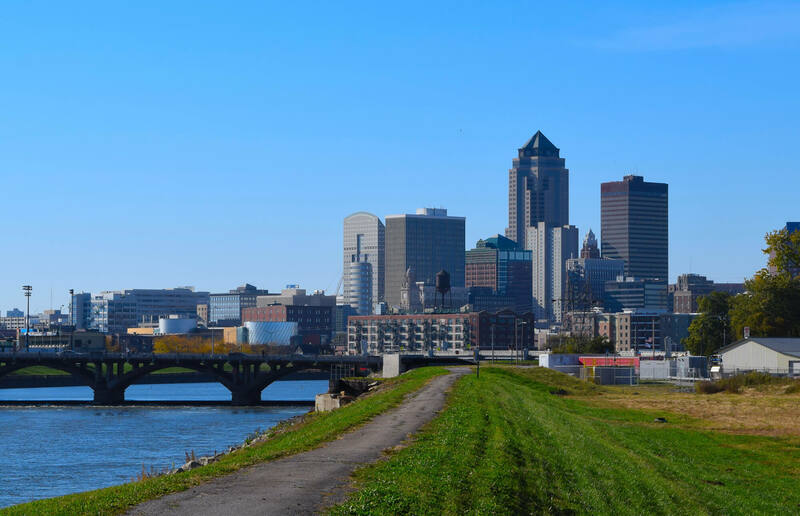 Des Moines Iowa skyline taken from the bike path next to the Des Moines River in Autumn.